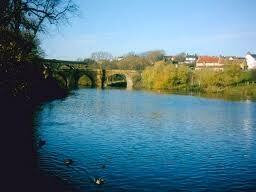 Yarm Angling Ltd have over 5 miles of the River Tees available to there members. The first stretch or the closet to source on the Tees is at Low Middleton, between Darlington and Yarm, also known locally as “Bowl Hole”. The second longer stretch is around the town of Yarm. The second stretch was tidal before the Tees Barrage was erected meaning the depth is up to 6 feet deeper than in previous years.